The Life Of A Compulsive Crafter. 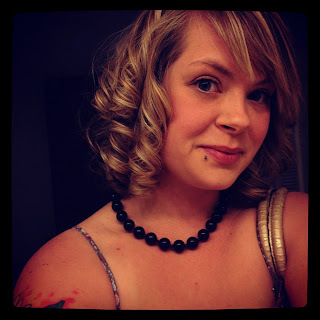 Thank you Joleen for inviting me to guest post while your away, I know my photography is no match for yours, but I hope you will enjoy this project! 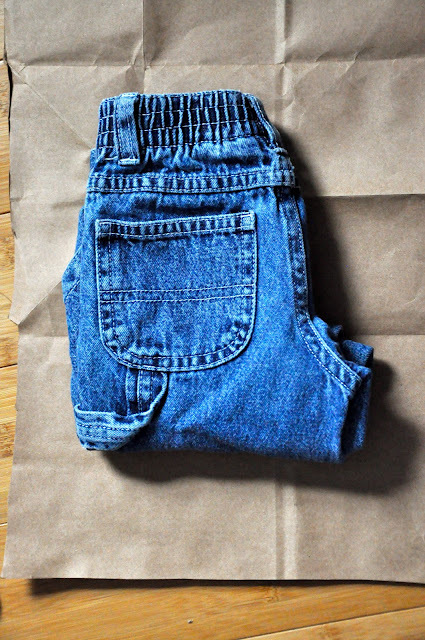 Step 1: Find a pair of jeans that fit your child well and measure the length that you want your shorts to be. Make a mark at the spot so you don't forget. Step 2: Take the pants off of your child & fold them in half. Make sure you have the crotch pulled out or they won't fit correctly. Fold the legs up where you have marked them so they are the length of your shorts. Step 3: Lay your pants on a piece of paper. I used a paper grocery bag because it's eco-friendly and free, plus the paper is really thick and I'm able to save the pattern for another day. 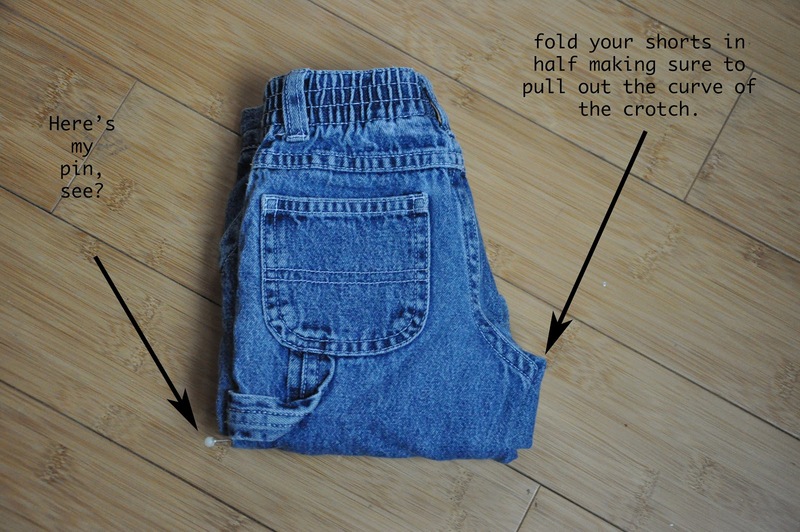 Step 4: Trace around your shorts. You can trace them as is the first time, then add seam allowance to each side. At the top you want to add a few inches because you will be creating a casing for the elastic to go into. On the sides you can simply add 1/4 of an inch. At the bottom you should add 1/2 of an inch . 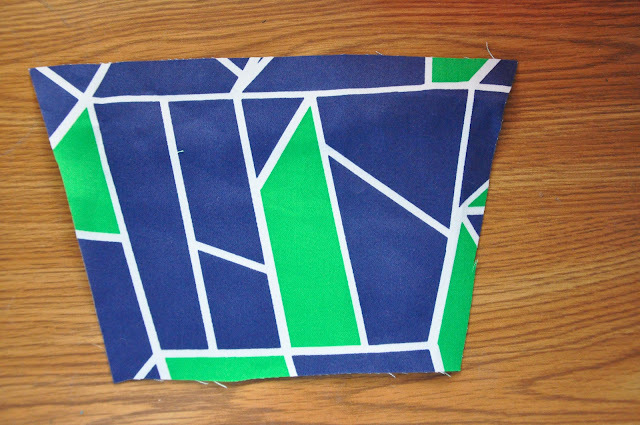 Step 5: Cut out your pattern. 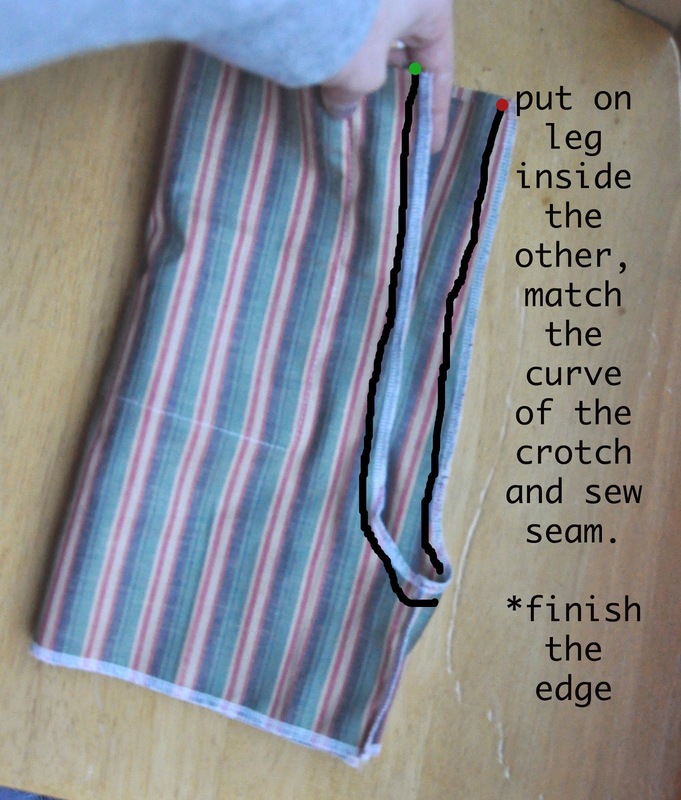 Take your fabric and fold it so you will cut through two layers at once. This will save time and ensure that you have mirrored pieces. You don't want to end up with two left legs, unless you have a child with two left legs. :) So to make it SUPER DUPER CLEAR, make sure you have either right sides of your fabric facing together, or wrong sides facing together. Either works. I folded mine wrong sides facing. Cut 4 pieces (two at a time). If you want to add a pocket, do it now while your pieces are nice and flat. 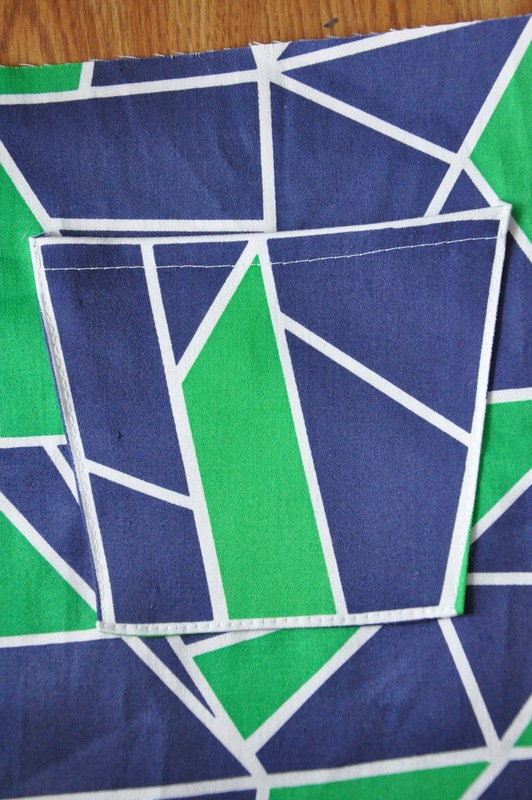 I liked the pattern on these so I cut out a shape and created a pocket. See? I folded the top over& topstitched, then I folded each of the other three sides under a little, pinned it to my shorts, and topstitched those three sides. Don't stitch the top shut or it's not much of a pocket. A close up: Isn't it cute? (note, I ended up ripping it out and lowering it a tad more because it was too close to the top of the pants which didn't leave me enough room to fold the waistband.) Learn from my mistake& give yourself more space from the top. Step 6: Take two pieces, a front and a back, and place them right sides facing together. Sew the side seams& repeat with the second set. You should have two separate legs when you are finished. Also, don't let my serging confuse you, your bottom seams will not be finished yet assuming that you don't have a serger. 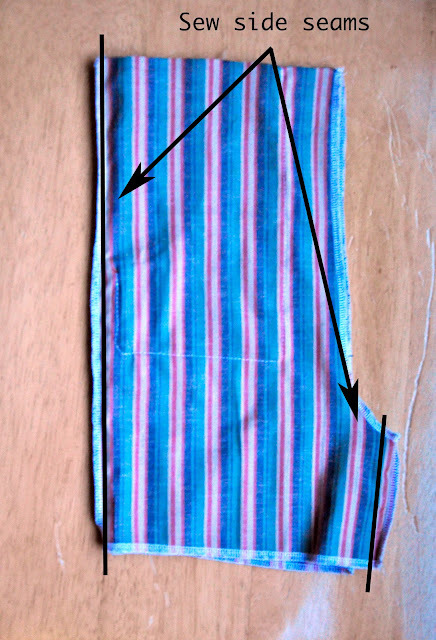 Just follow the black lines& sew the long seam and the short seam at the bottom of the curve like I show in the photo. 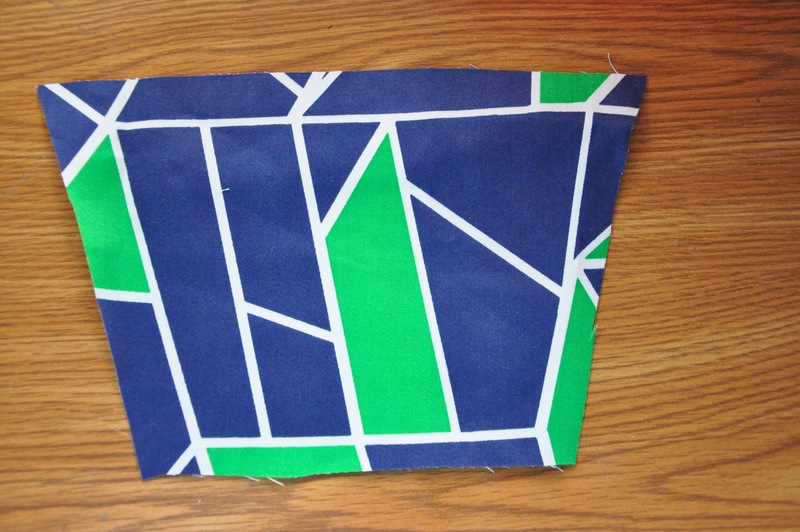 Finish the edges with a zig zag stitch by stitching close to the edge. This will keep them from fraying after you wash them. Step 7: Turn one leg right side out, and one leg wrong side out. Slip the leg that is right side out into the leg that is wrong side out. You want to match the tops& also the center seam of the U or crotch. Start at the top (green dot) and sew all the way around the U shape until you read the end (red dot). This will connect your shorts at the center and give you one pair rather than two legs. Finish the edge with a zig zag stitch by stitching close to the edge. Step 8: Stick with me you're almost finished! Pull that leg out so the shorts are wrong side out. Then, fold your top at 1/4 of an inch& press. This will keep the frayed ends tucked inside your waistband. My edge is serged so I don't do this. Then fold it again 1" inch. Press it again. Fold the bottom 1/4 of an inch, press. Fold it at 1/4 of an inch and press again. Step 9: Sew the waist seam and the leg seams. On the top leave an opening at the back so you can feed your elastic into the casing. I take my 1" elastic and wrap it around my son's waist so I know how long to make it. Don't stretch it at all when doing this. Then attach a safety pin to the end & use the safety pin to pull the elastic through the casing in the waist. Once it is through, secure the pieces together. Use lots of backstitching because you don't want them to pull apart while your kid is running, jumping, karate kicking, etc. Mine were size 18 month, so 18 for short. STEP 10 !! (the last step, woohoo!) 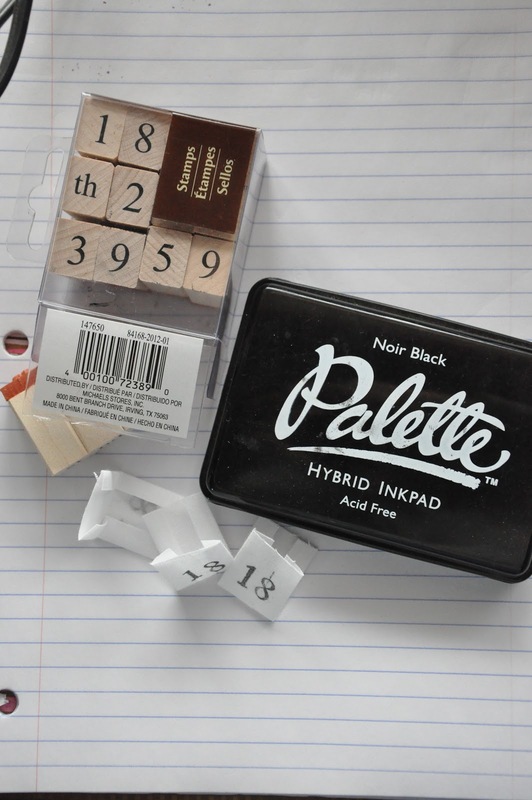 : Slide your tag into the opening, pin it, and close it up. Then you can do a little happy dance and beg your child to try them on for you. I made three different pairs because I love them so much. First I made a pair out of plain white linen. I didn't add anything extra to them. The next pair I put pockets in the front. I used a striped cotton with contrasting red pockets. The last pair I made with this geometric blue& green fabric from joann fabric. I added the faux stitching on the front (it's a bit hard to see). 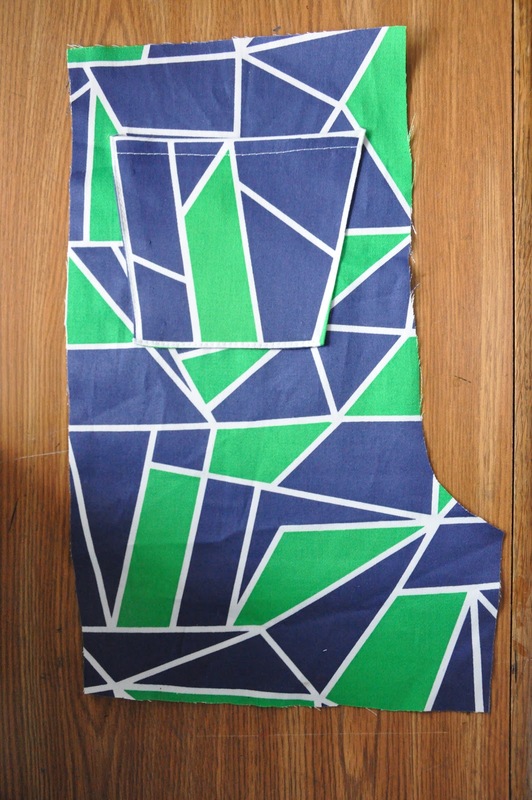 I also added the geometric shaped pocket on the back. 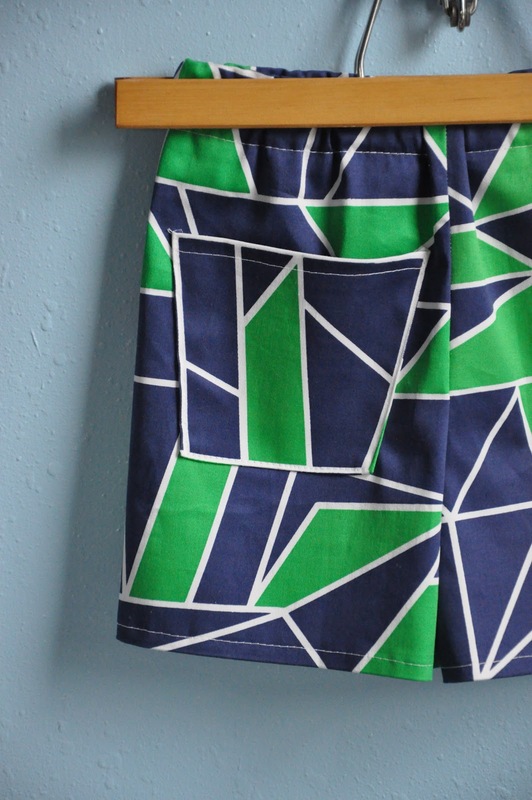 So, from one FREE pattern, I created three very different types of shorts that my son will surely enjoy on hot summer days. I hope you will be inspired to try this for yourself!